Now you can reach regional and international destinations in style and through a private flight. By hopping on board the EMB 175, you can reach as far as Washington in the USA or Mexico City if you’re coming from Toronto. This aircraft has the complete facilities to provide you with the most convenient experience in traveling. Its spacious cabins have seats which can be reclined, and these include pull out tables for you to relish your meals. The same tables may also be used as platforms so you can catch up with your emails and update your documents via online based cloud. As you literally fly among the clouds, the EMB 175’s interior galley allows for the finest food and drinks possible to be prepared. The galley has small appliances and materials to ensure you’ll be having a well prepared food. These may include a microwave oven, coffee maker and a small fridge. Its compartments may also function as pantries. The plane has a cozy lavatory to ensure you’ll have a comfortable trip for 2 hours or more. The EMB 175 is quite spacious and its customization options can be varied depending on the operator’s preferences. For instance, some service’s operators have their seats installed with personalized television panels. To ensure you’ll have an enjoyable trip, be sure to inquire about the plane’s in-flight entertainment features. A standard EMB 175 usually has Wi-Fi so you can stay connected with your family, friends and professional networks. In reference to small and medium planes, the EMB 175 has some very competitive performance features which you can make the most of. The sturdy, comfy flights it can offer, allows for you to reach its farthest destination possible within 2 hours or more. Performance-wise, EMB 175 is one of the highest performing regional airlines you can find. Should you need to reach a much farther destination, you must make sure to confirm the number of passengers you’ll bring on your flight. You must also inquire about your allowable luggage capacity, especially if you’re bringing any type of cargo or pallet set with you. This way, your operator can sort through the details and schedules of your flight plan. A lighter aircraft can generally fly farther and at a faster rate, unless more mechanical upgrades were provided to maintain its ideal performance. Manufactured by Brazilian based company, Embraer, the EMB 175 is among the company’s E-Jet family. 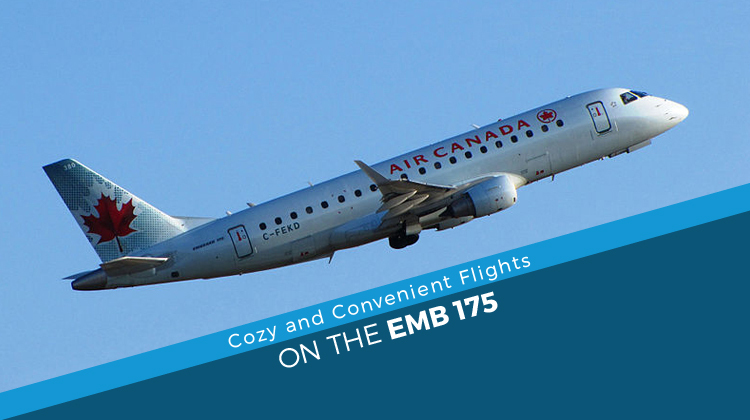 With Bombardier planes as its competitors, the EMB 175 got a positive response after its first flight in 2003. 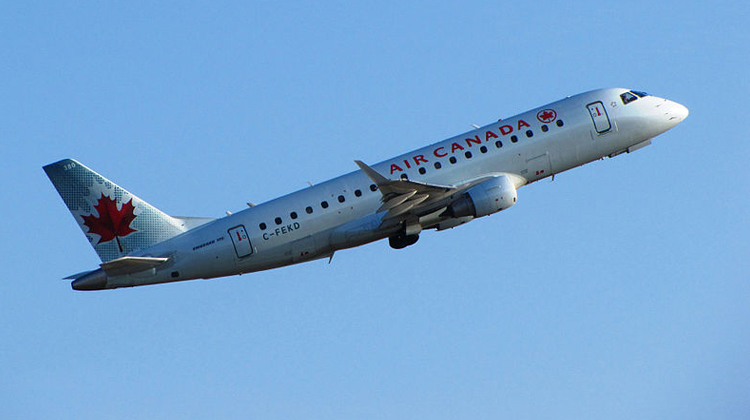 The very first batch of the EMB 175’s produced units was delivered to Air Canada. Additionally, there are 3 more variants within the E-Jet series. Today about 395 units of the aircraft were produced and are being flown all around the world.